The island paradise of Corsica in the Mediterranean Sea is a mosaic of diverse landscapes from comfortable sandy beaches and steep, narrow paved streets to inhospitable mountains rising up from the pasture. 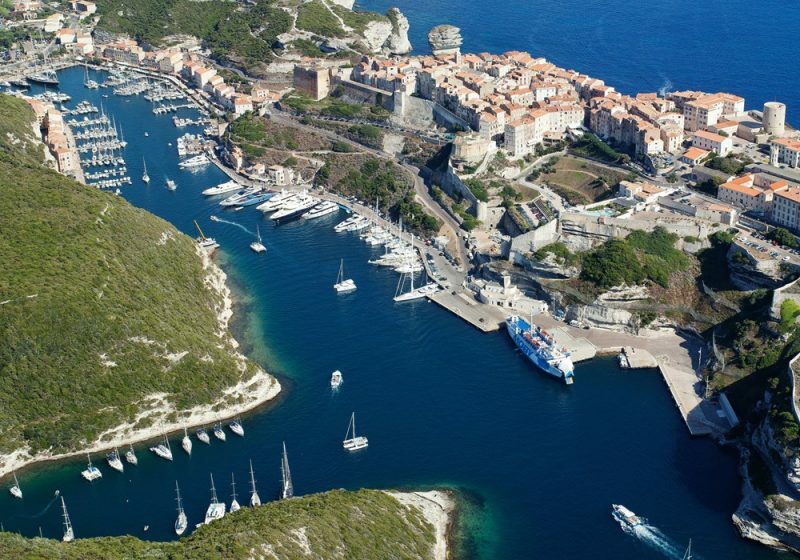 Ideal for a beach vacation, Corsica offers adventures on and off the sand, including scuba diving, sailing, and hiking. Enjoy a rugged mountain adventure by sightseeing along the famous Grande Randonnée (GR) 20 path. For an intense view of the island and the jagged coastline from the water, rent a boat to travel around the island or charter a cruise. Albeit being in France, Corsica has its own unique personality. In the last 10 decades, it has made a name for itself, for the traditions and cultural difference from France. Picturesque villages can be located at hilltops in Corsica. You will find them full of traditional artifacts that can be bought as souvenirs. The sparkling sea view is so mesmerizing that you will find it hard to leave the place. The day will fly by as you explore the narrow, cobbled lanes of the villages. My favorite was the medieval town of Bonifacio, on the southern tip of the island. 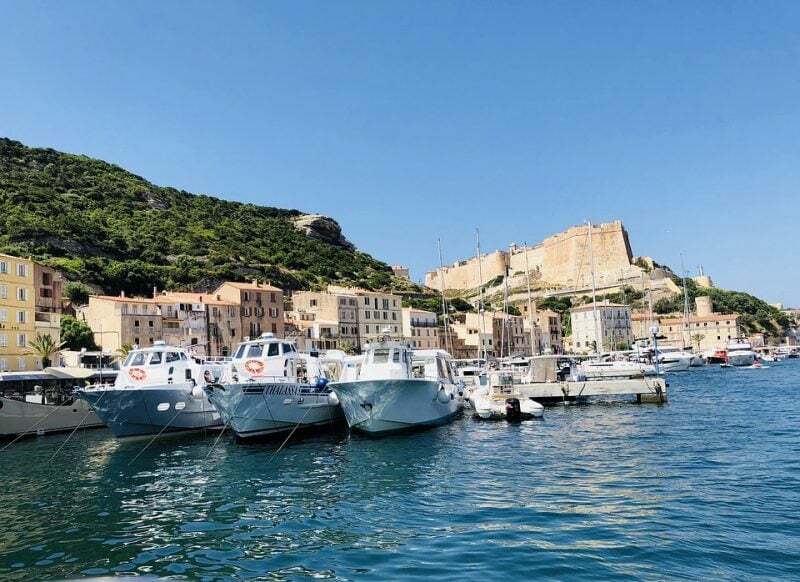 It is a must-see, with a breathtaking view from the restaurant-lined harbour of the Bastion d’Etendard that formed the most important part of fortifications which date back to 1195, and were built to defend the city. Among Bonifacio’s many Waterfront restaurants, Da Passano serves innovative island recipes. Small plates by chef Régis Mesnager are made for sharing. The modern interior designed by architect Patrice Gardera, a collaborator if Philippe Starck, forms a dramatic backdrop. For a wide selection of top Corsican products, try the épicerie. The Archipelago of Lavezzi is a collection of 8 small granite islands and reefs in the Strait of Bonifacio that separates Corsica from Sardinia in the Mediterranean Sea. We only went to the island of Lavezzu which was the site of the shipwreck of the French frigate Sémillante on February 15, 1855. On the island of Lavezzu there are two memorial cemeteries with the remains of the victims of the shipwreck. Not matter where you are planning to stay in Corsica, you will always find yourself near a water source to have a swim. Be it a beach or a river. 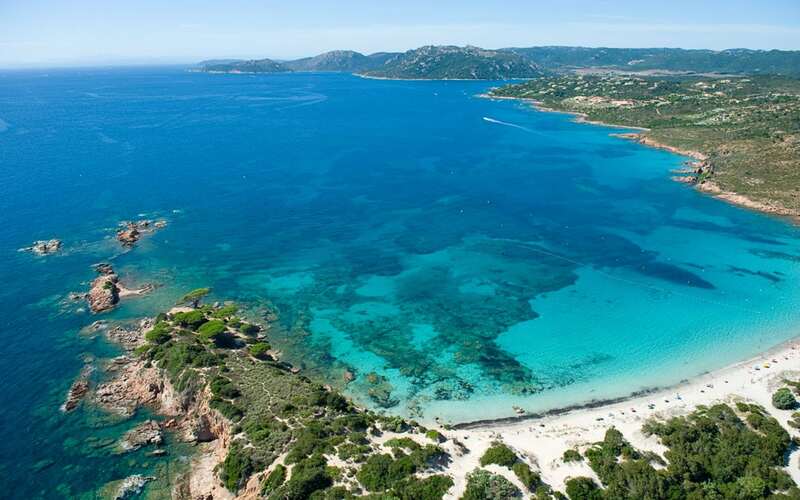 The best to go for a lazy beach day is Palombaggia Beach, surrounded by red rocks, this long beach of white sand stretches out at the foot of dunes shaded by superb pine trees. The sea glistens turquoise, blue and amethyst – an image of paradise (as many summer visitors have discovered). One of the best preserved places is around Tamaricciu, as seen on plenty of post cards, and accessible by a nature trail. 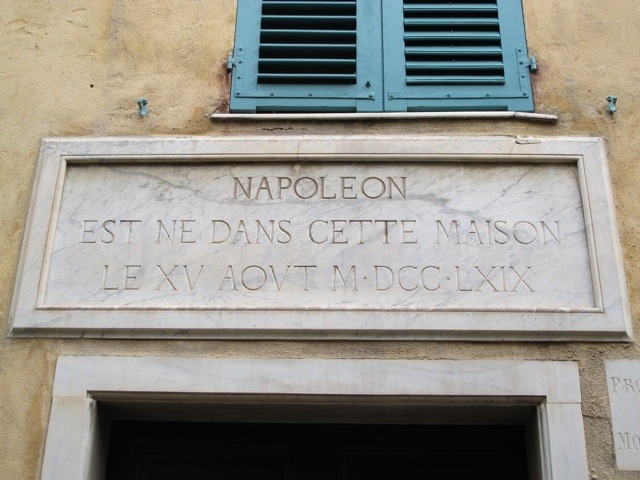 If you are a history buff then you should definitely visit the Maison Bonaparte, that is located in Ajaccio. The place is famous for being the birthplace of the notorious leader, Napoleon Bonaparte. Take a bilingual tour for the famous place so you can impress your friends with the vast knowledge of the most famous chapter of France’s’ history. The tradition was almost extinct, but fortunate it was revived again in the late 70’s. the Choral tradition has. Now, become the most famous in Corsica. If you have a very soothing taste in music then you will love the mesmerizing and spell binding voice of the Donnisulana (group of female singers). The best way to explore any island is through waters, all the ports offer boating trips. You can visit many famous sites like UNESCO World Heritage, Girolata Village. The Nature reserve of Scandola covers 900 hectares of land and 1000 hectares of sea. 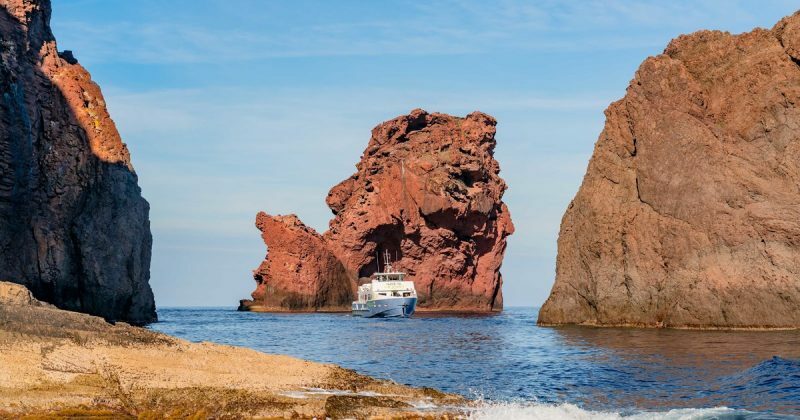 This wild peninsula of volcanic origin is a UNESCO World Heritage Site with landscapes of an astonishing beauty are a series of red cliffs, peaks, hollow sculptures (tafoni), caves… Fauna and flora are exceptional. The reserve indeed is home to numerous species of rare birds such as fishing ospreys, peregrine falcons, crested cormorants, ash puffins and golden eagles. If you wish to see the stunning views of the island, a train tour should be the perfect thing. There are three major rail routes, and these routes cover almost ever but of the beautiful island. You can plan your visit to the Bocognano village via train and enjoy the stunning views enroute. You can also take advantage of the walking trails on the island, or one of the ten best hiking trails in Corsica. With the most beautiful back drop in the world. if you aren’t a fan of walking on foot, you can always go f a horseback ride or rent a cycle. Hiking is the best way to explore the nature at its best. Trying the different cuisines of every place I visit is my favorite part of traveling. There are many local eateries that have an extensive menu and will give the best taste of their traditional cuisines. The French are famous for their exceptional aroma and herbs. Cheese, charcuterie and red wine are the staples of this cuisine. Learn more. Corsican cuisine will make you forget the most delicious meals of your life. Their meat dishes are the most famous among all the other food options they have. On a narrow alleyway, Ciccio offers delights from pastures to exceptionally re-imagined Corsican dishes by Chef Gerald Larrieu. Locally sourced sea urchin, prawns and white truffles are paired with regional wines and served in a dining room with the snug feel of a wood cabin. Corsica is known for its wines; the climate is perfect for producing most amazing wines. The best way to spend a your last day is to go wine tasting, at a number of wineries in Corsica. Almost all of these wineries’ welcome tourists for wine tasting as well as a stroll in the wine gardens. Here is a list of amazing wineries to visit! Birthplace of Napoleon and capital of Corse du Sud, Ajaccio still feels like a Riviera town. Palm trees line the waterfront and gracious squares join the boulevards of the new town to the cobbled streets of the old. To the west, a broad promenade and series of beaches end in rocky headland near the Iles Sanguinaires, a group of jagged islands. Retail opportunities abound and the Musée Fesch houses an impressive collection of Renaissance art. Maison Bonaparte, the mansion where Napoleon was born, is now rather faded but contains some interesting artefacts. Stay at Le Maquis in Porticcio – Opened in 1949, this small family run hotel mixes Grand Tour style luxury, Corsican rusticity and a grandmotherly collection of antiques. The cosy, secluded destination features two pools, a spa, a tennis court and a private beach cove. Beauty is in the details, from the glided China and sterling silver tableware to the heirloom brass water fountain. 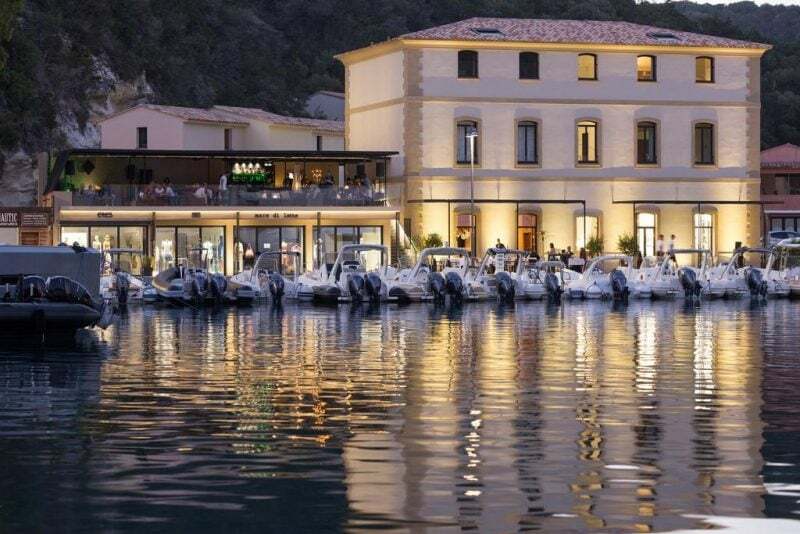 Corsica’s most dramatic port – in a deep-water inlet beneath limestone cliffs – draws an international yachting crowd, and hotels and restaurants line the quay. The labyrinthine old town clings to cliffs behind imposing ramparts but is slowly falling into the sea. Its merchant dwellings, churches and cemetery make it an atmospheric place to wander. However, for the best views, take to the water. Numerous operators offer tours of the coastline’s grottos and inlets. Stay at The harbourside Hôtel Résidence du Centre Nautique with wood cladding and maritime paraphernalia. Spiral staircases link stylish bedrooms to private sitting rooms. The season extends from April to October. The island is most busy in July and August , when temperatures average 16-28 C, with medium-high humidity. Temperatures dip to 15-26 in September and 11-22 in October, with no humidity.